Dates and times you're interested in having your event? Tell about a little bit about your event. How did you hear about Metronome? The Grand Room is over 3,500 sq ft with high ceilings, beautiful hardwood flooring, professional sound system, and heating & cooling system. The Mezzanine is just over 1,000 sq ft (36ft x 29ft) with hardwood flooring and its own A/C. The Salon is a small room-- 15' by 26' with hardwood flooring, full length mirrors. 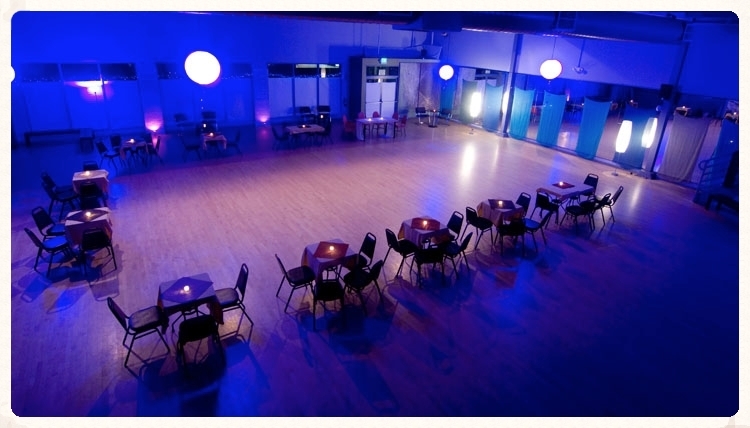 Located just off the Grand Room, customers have used this space as a VIP or lounge area during large parties. The Left Wing is long and narrow at 11.5' by 32'. Customers have used this room for various purposes, like breakout sessions, changing area, and storage for catering services.